I've been on a kitchen kick as of late. Not sure why. Gonna be a while before we tackle our reno. But, these are definitely on my inspiration list when the day does finally come. They are all pretty fantastic. Right? Let's break them down, shall we? So, the first pic...sleek cabinets with that antique mirror, and that lovely chandelier. It's makes me happy. Mmmmm. Grey, stainless steel, and those rustic pics that keep it from being too cold. Love the light over the sink, the massive mirror and that big gold coffee service pot. A really nice mix! Grey goodness, and again the lighting. Ooh, that first kitchen is stunning. The chandelier makes me happy too! I love a chandelier in the kitchen - so unexpected! 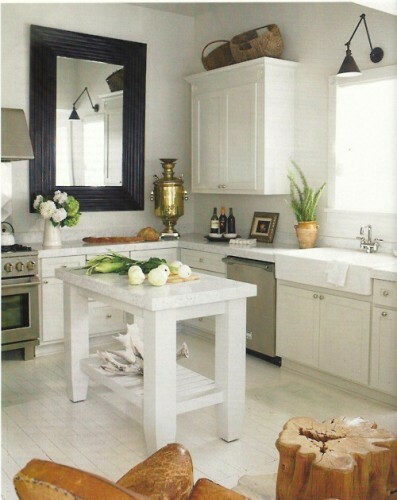 Great Kitchens...white makes my day! 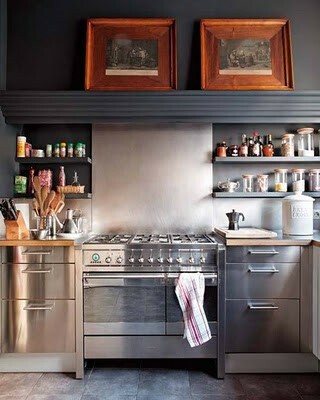 Love the sleekness of the first kitchen, but those industrial lights in the last one, brilliant! and great blog, will be back again! The mirrors are so unexpected! 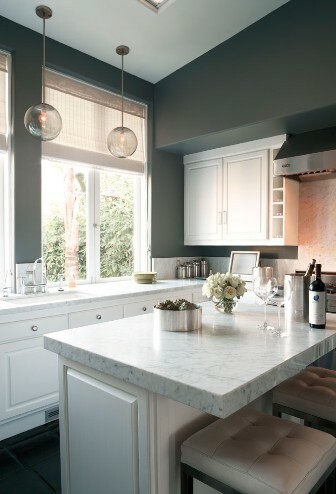 They add that touch of elegance any kitchen should have. What a wonderful idea!